If there’s one thing that intimidates many people when it comes to building a new outdoor structure – including a Brisbane carport – it’s the mere mention of council approval. Going through the council approval process can be daunting for those new to the process, but thankfully help is at hand with Mr Carports Brisbane. Firstly, it’s worth stating up front that generally you will need to get local council approval if you are building a new carport in Brisbane. Unless you are pulling down an old carport and replacing it with a similar structure, council approval is likely to be necessary and even for new for old replacements you may need approval. Complicating this further for some homeowners can be other or additional approval requirements, for example if you live in a heritage or bushfire prone area. Add to this complexity is the fact that each council area is different. What is allowed with one Brisbane carport may not be possible in another council area. Every council has different building restrictions and approval processes. Costs can also vary significantly. Sounds convoluted? Yes, it can be, unless you have the experience to know the approval process in your area. That’s where Mr Carports Brisbane comes to the fore. All our branches are owned by local people who understand the fine detail of the council requirements in your area. They’ll know if there are restrictions that you may need to adhere to, such as the size of your Brisbane carport, the distance from the road and materials you can use. And they’ll know how to get your new carport approved as quickly and easily as possible, so work on the carport can begin. Yes, gaining council approval can be complicated for those new to the process, but Mr Carports will make the process easy and hassle free. 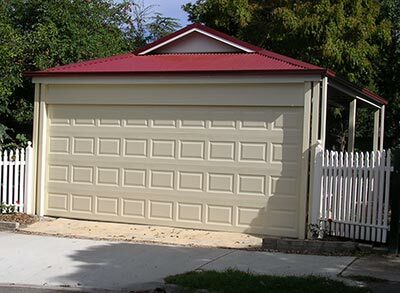 Give Mr Carports a call on 1800 557 782 and we’ll come to your home to discuss your needs and provide a free design and quote for your new Brisbane carport.